 Mashing Poles | Pandorapedia: The Official Guide to Pandora | Own AVATAR on Blu-ray & DVD Now! The Na’vi mashing pole is an indispensable tool in food preparation. They are also used to relieve daily toil through music. Although Na’vi music is typically less rhythmically oriented, the rhythmic activity in domestic songs increases during communal work activities, specifically during food preparation. Workers often gossip and sing during this activity. As they pound grains into flour, the poles create a rhythmic accompaniment to their singing. When pounded, each pole creates a slightly different pitch, due to their differing sizes. The workers pound so that their ikut’sey create interlocking rhythms and a subtle melody, which is then elaborated on by others in the group. The clatter sticks attached to the ikut’sey, although not specifically musical instruments, add a pleasant noise to the mix.